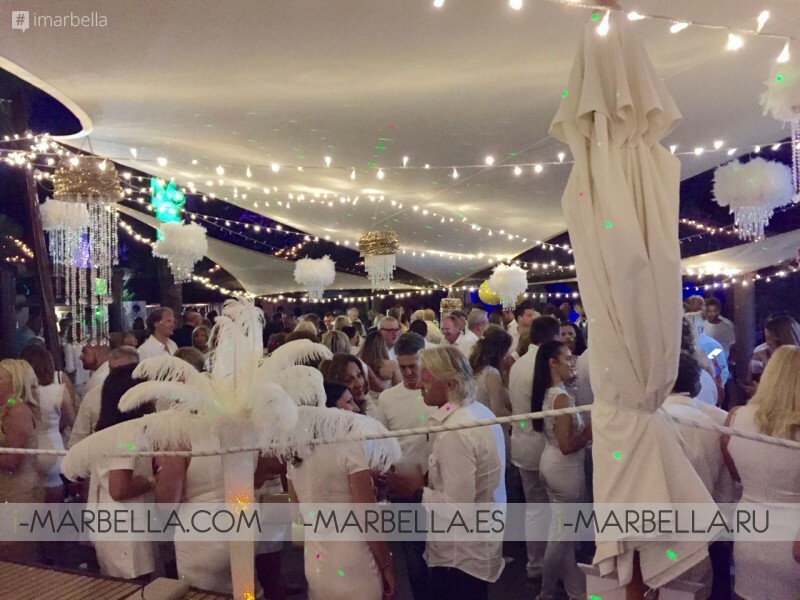 June 3 was a Friday in Marbella, and the beginning of summer, also the day when I attended the 9th White & Gold 2016 Party at La Sala by the Sea, and also a party at La Suite Club. I will introduce you to some people I saw on the day and show you Marbella parties in style. The evening began at a beauty salon, where the hairdressers made me a very beautiful hairdo. I was extremely satisfied. Sabrina has never let me down. A big kiss to you! The salon recently celebrated its 15 anniversary at Cristamari in Puerto Banus. Sabrina Wageman, owner of Cappucino Glamour, has been running the beauty salon at Cristamar in Puerto Banus, Marbella, for 15 years. Happy anniversary to her and her salon from me and i-Marbella! At 21:30, we arrived at the party. The staff were very friendly. I had a press pass and my friends, invitations. At the door, we were offered a glass of champagne. Then, a photocall followed. A lot of people tend to ask what it is exactly that I do for a living. I could say that at the event, I was a journalist, blogger, representative of i-Marbella.com as the director, and my job was to report the event in the best possible way, enjoying the drinks and canapes at the same time. Ian Randford (Chairman of La Sala Group) was present at the event, with whom we remembered the La Sala Beach times, back in 2008, which was also the year when www.i-Marbella.com started. 2010 was the second year for i-Marbella, when Tene and Triin Sommer moved to Spain from Estonia. They did a great job, and I will never forget it. Thank you! 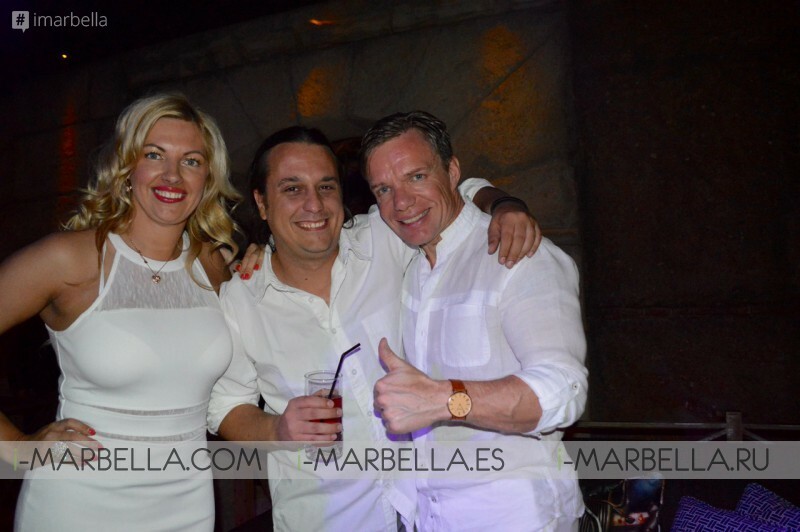 They both are now working at La Sala Group because of their good reputation whe working for i-Marbella. White & Gold Party 2016 at La Sala by the Sea was great with music, drummers, show girls, and champagne. After midnight, we moved on to La Suite. Here is our group of the night, all of them Estonian! In this picture, we are having fun with i-Marbella's team. Carlos Carretero is an excellent video producer and photographer. His speciality is drow movies.